A new age for the supply chain has arrived – companies are moving faster than ever to produce more while reducing cost and turnaround. To thrive in a fast-moving marketplace, companies are exploring new business models, supply chain strategies and technologies that completely transform their companies for leadership. 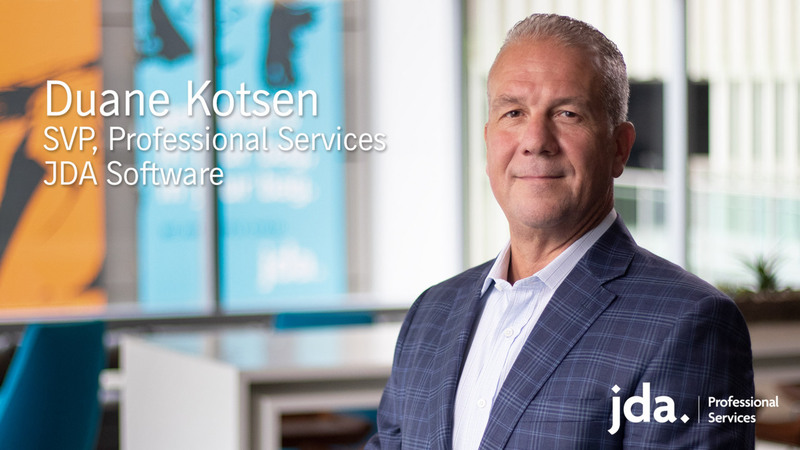 Backed by thousands of customer engagements, JDA Professional Services understands how technology can drive this kind of transformation. JDA has the industry’s most forward-looking supply chain solutions that support unprecedented autonomy and flexibility. JDA’s global team offers business expertise at both the functional and strategic levels, so your business can achieve a true transformation, quickly and cost-effectively. Discovery - Every business has its own unique set of supply chain obstacles and opportunities. JDA consultants set the stage for transformation with a practical action plan that identifies these challenges upfront. Enablement - Once you have a plan in place, how do you implement it? Leverage our experience to quickly create your own success story – JDA Professional Services has led over 1,000 successful implementations. Expansion - The implementation is only the beginning. Let JDA help benchmark your progress, improve your results and leverage data and analytics every step of the way.